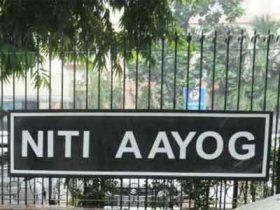 New Delhi: The National Institution for Transforming India Aayog has proposed changes to the approval processes in the pharmaceutical and medical research sector like establishment of single window system for approval, the Lok Sabha was informed. Health and Family Welfare Minister Anupriya Patel, in a written reply, said, the changes have been approved with the objective to boost innovation by streamlining, updating and simplification of overall process of product (drug or vaccine) development. ”Other suggestions proposed include abolishment of role of review committee on genetic manipulation in Department of Bio-Technology and strengthening of Institutional Bio-safety committee under ministry of Environment and Forests,” she said. Grant of permission/approval within 30 days from the date of application for Indian Innovation Projects, who have applied for global patent, failing which approval will be automatically presumed and review of age old procedures for simplification to encourage innovation in India among others are some other suggestions, Ms Patel added. The government has also undertaken steps to implement the said changes and counter the challenges that the government is facing in implementing the same, she stated.Ministry of Environment and Forests, Department of Health and Family Welfare, Central Drugs Standard Control Organisation and Indian Council of Medical Research are involved at various stages of the process before granting approvals and an inter-departmental consultative process has been initiated for taking a view on the recommendations of NITI Aayog, Ms Patel added.